Jade Donnelly, Markita Schaufler, Amelia Walters, Mrs Hayley Firth, and Cream Polruksa learning after school at Snack n Study. FOR some students finding the right time and place to tackle their homework can be as daunting as the tasks themselves. At Irrawang High School Snack n Study is helping students by providing not only a time and place but also some healthy snacks! 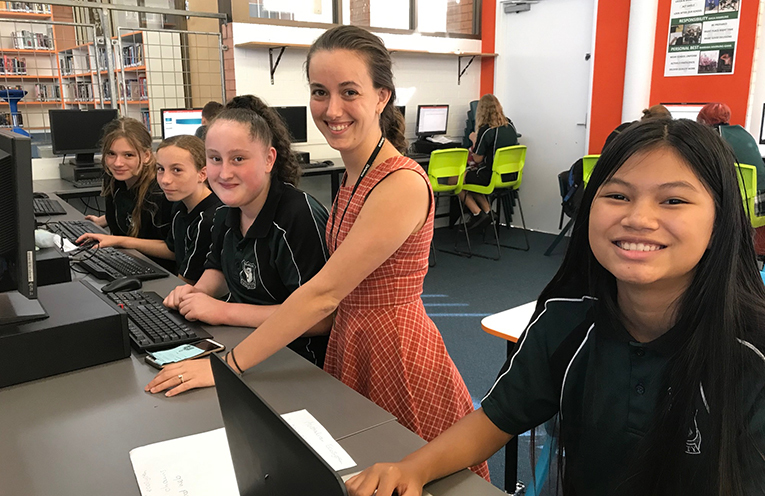 Lue Fagan of Irrawang High School told News Of The Area, “The Irrawang High School Snack n Study (Homework Centre) is located in the school library and is held every Monday afternoon from 3.15pm until 5.00pm with students receiving nutritious afternoon tea compliments of Café Irrawang. Students aren’t left on their own without support either. “Snack n Study is staffed on most days by up to six teachers who happily stay with the students to provide additional support with homework tasks, assessments, improve numeracy and literacy skills and access to technology located in the state of the art library,” she said. Snack n Study is something students can use for weekly tasks or for their major projects. Being in the library with teachers on hand to help can make a big difference in the quality of students assignments. 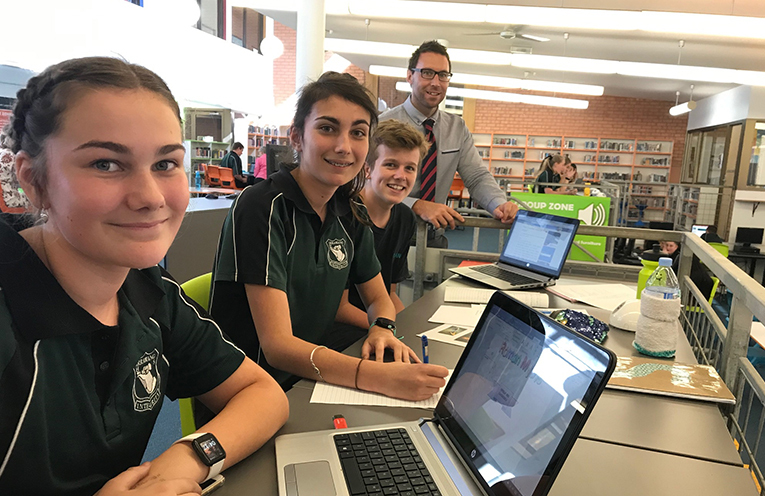 Students from all years have used Snack n Study which is just one more way that the staff at Irrawang High School are going the extra mile for their students. Zahli Olding, Montana Olding, Brendan Johns, and Mr Trent Colley during Snack n Study.